Note 1: This is not a proper review, just some info! 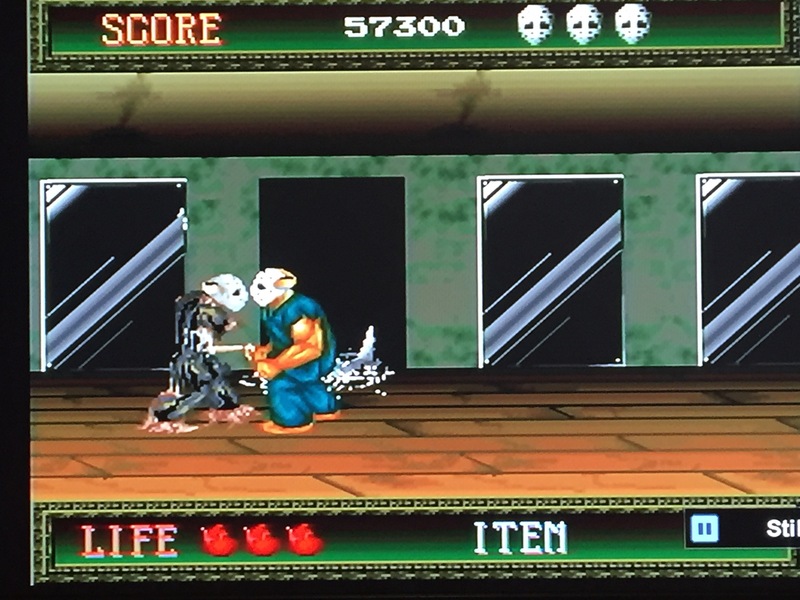 Note 2: Splatterhouse was played on an FM Towns Marty console that was connected to a 32-inch tv through an S-video cable, which is the best of the two available outputs of the Marty (the other being composite, which looks good, but the S-video looks outstanding, in my opinion). 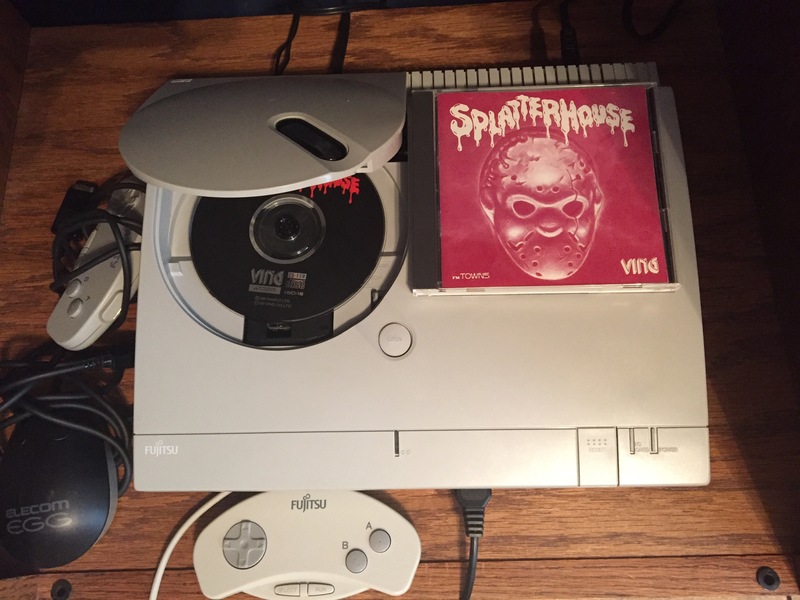 Note 2: Splatterhouse is not a terribly ‘obscure’ game, and in fact, has actually become quite a popular ‘retro’ game in recent years, as evidenced by the number of websites you can read about the game on. 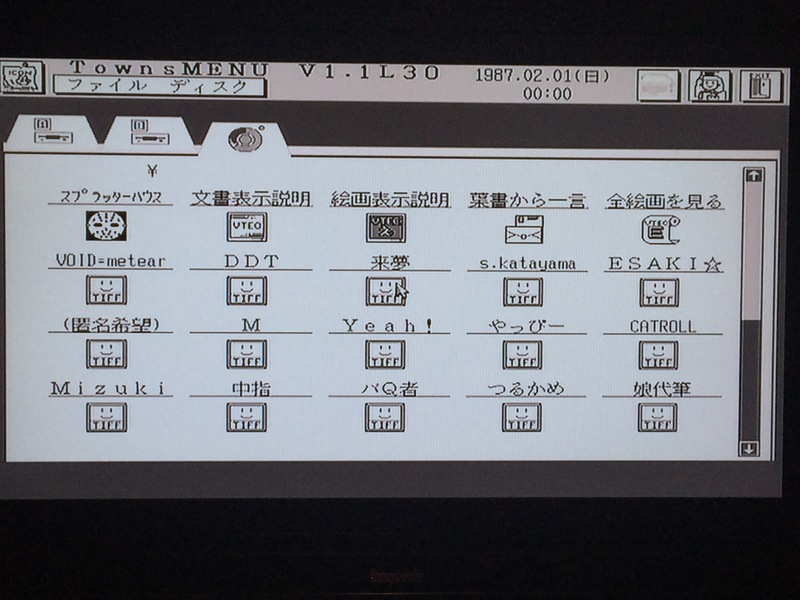 However, this particular version, for the Japanese FM Towns Marty console, is quite uncommon, hence my review. 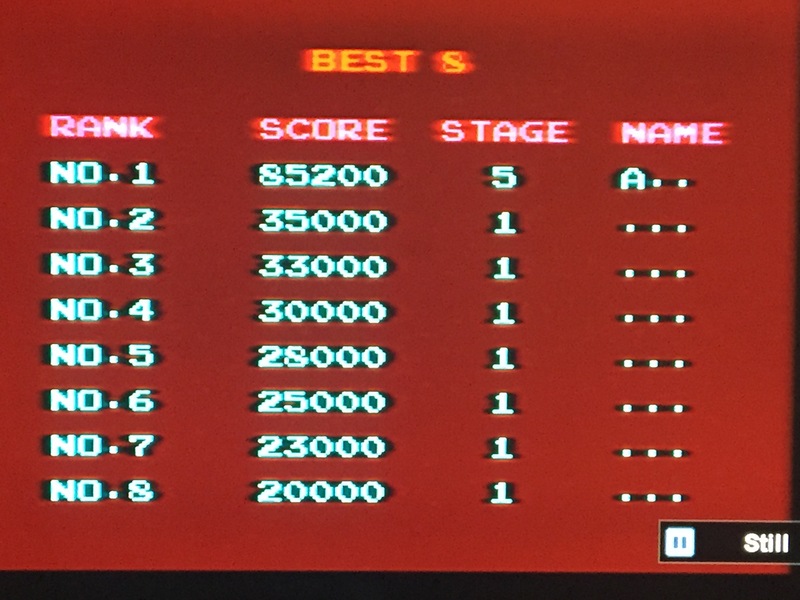 This version, so I’ve read, is nearly identical to the arcade version. 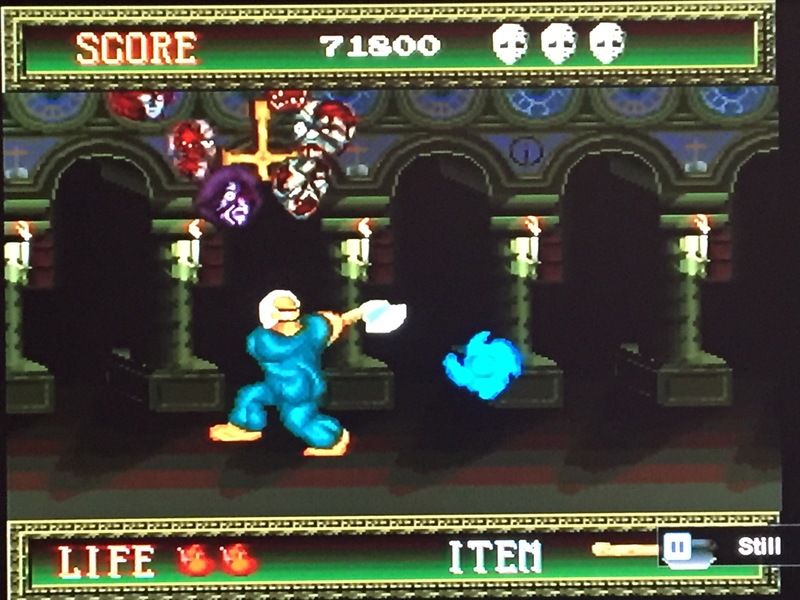 Splatterhouse is my favorite game for the Turbografx-16 and PC Engine, and I wanted to play the ‘arcade’ version without using a computer emulator, and I fortunately found a reasonably priced copy on eBay awhile ago. 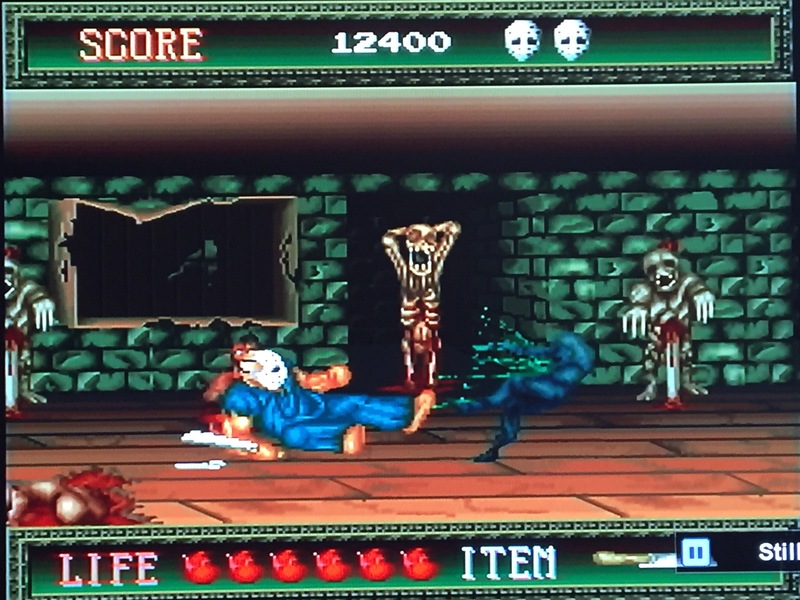 Background: Splatterhouse, after being released in arcades, was only ported to two systems, the Turbografx-16/PC Engine (U.S. and Japan names of the same console) and the FM Towns computer and FM Towns Marty (the ‘consolized’ version of the computer). 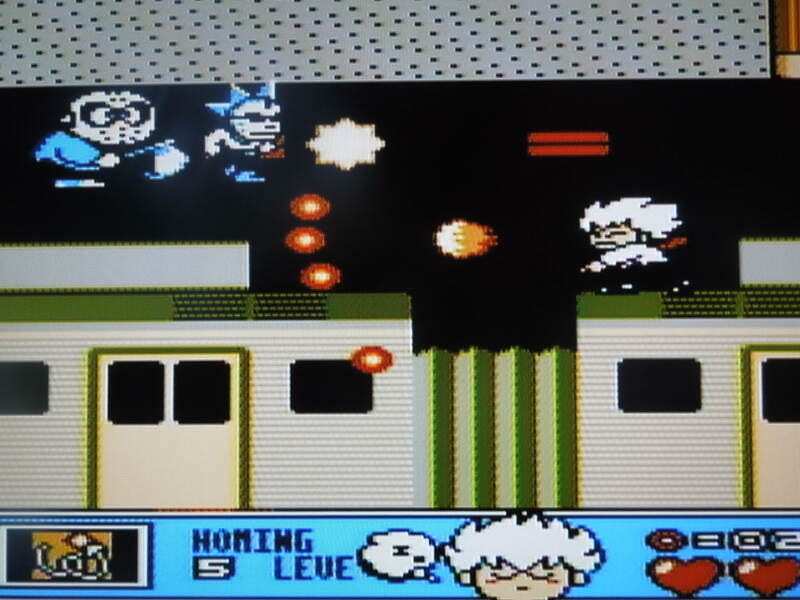 The TG-16 (U.S.) version was ‘censored’ a bit from the version Japan got for the PC Engine, giving Rick a red mask instead of white, removing the inverted cross boss, and a few other changes. Mostly, however, those two versions are the same. 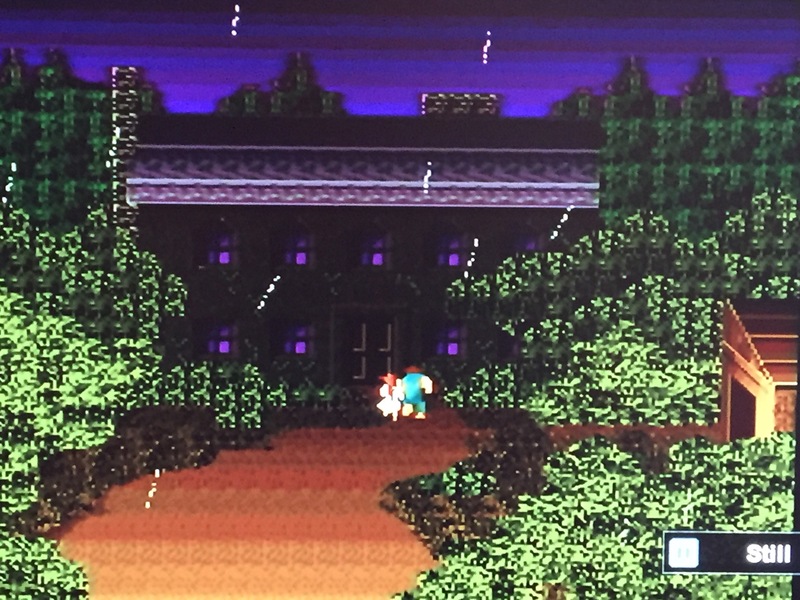 The FM Towns version, however, has tons more blood, gore, background and foreground detail, better ‘cutscene’ graphics between the 7 stages, a ‘complete’ intro and ending that were cut from the TG-16/PC Engine version, better music and sound effects, and a high score screen (this might save if your floppy drive was working, but I can’t test it since mine needs a new rubber band, so I have to use the old print-out and pen in a binder method for personal high-score keeping), among other things. Penalty for taking too long: In this version, if you don’t move quick enough or finish a boss fast enough, an electric wall or blue orb are sent to take you out! 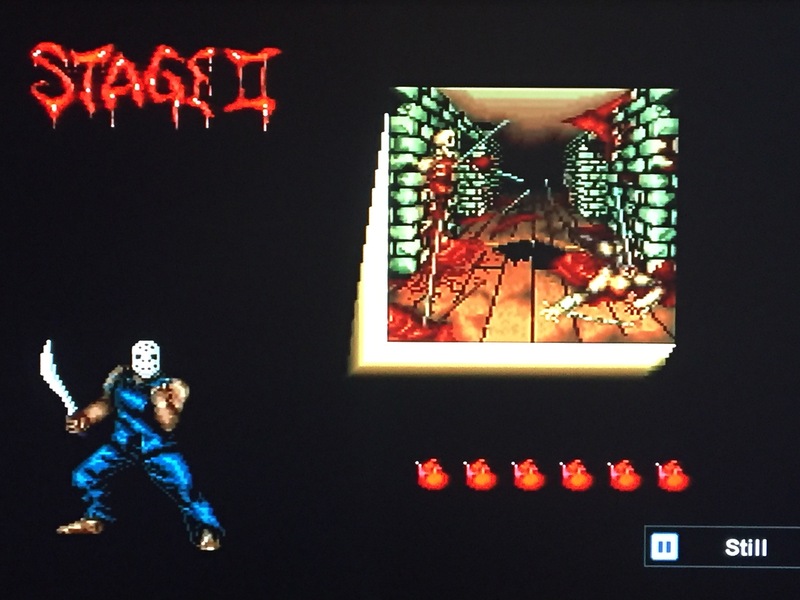 Verdict: Absolutely amazing version of Splatterhouse. Also, there’s no Japanese at all, of the little text that appears in the game. 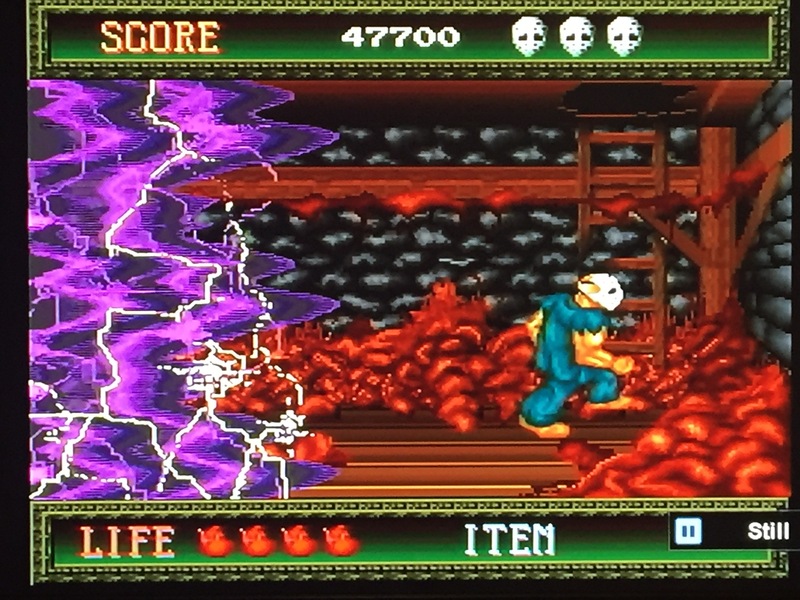 This entry was posted in FM Towns Marty - Splatterhouse. Bookmark the permalink.